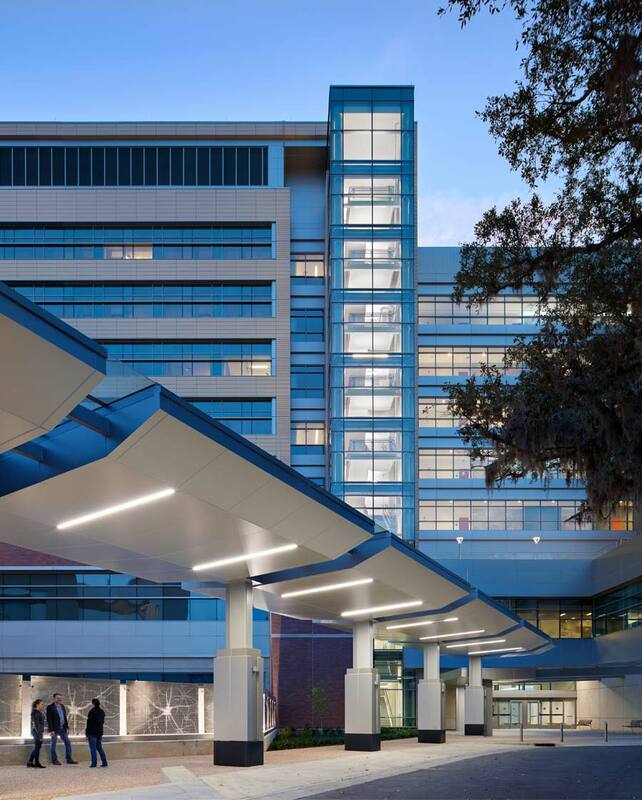 A Merit Award for Architecture from the Tampa Bay chapter of the AIA is the latest accolade for the UF Health Heart & Vascular Hospital and UF Health Neuromedicine Hospital. Flad picked up its award in the institutional category on November 2 at the Celebrate Design Reception held on the campus of USF St. Petersburg. Combining two distinct hospital groups into one integrated facility, the UF Health facility provides inpatient and outpatient care at one location, promoting physician collaboration, efficiency, and patient convenience. The architecture of the tower builds upon and enhances the composition of the entire campus, with red brick, architectural precast, metal panel, and glass materials incorporated in the design in a style that creates a fresh and modern appearance. The use of more contemporary forms and the addition of complementary warm-colored terracotta and gray stone are integrated into the facade, providing richness and diversity to the overall exterior expression of the campus. The interior design complements the exterior features and materials. 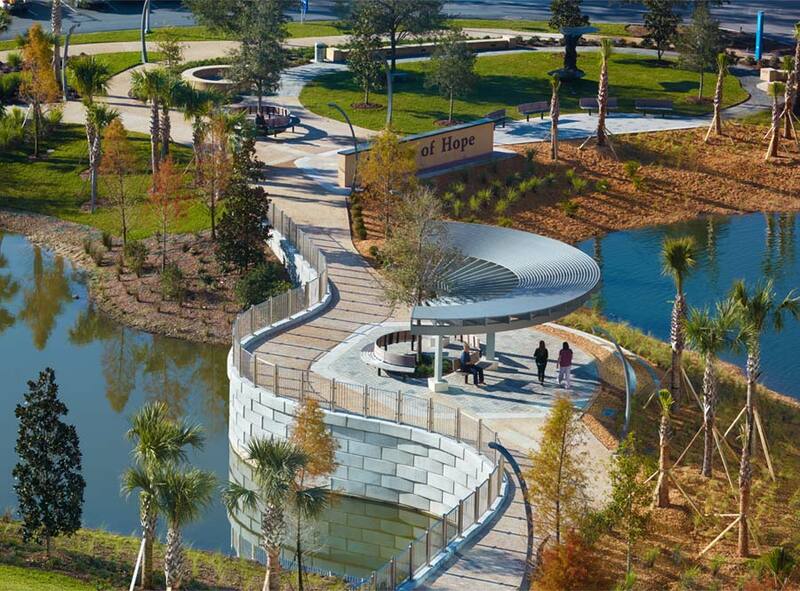 High quality, warm colors and materials accent public spaces and provide a comforting environment. 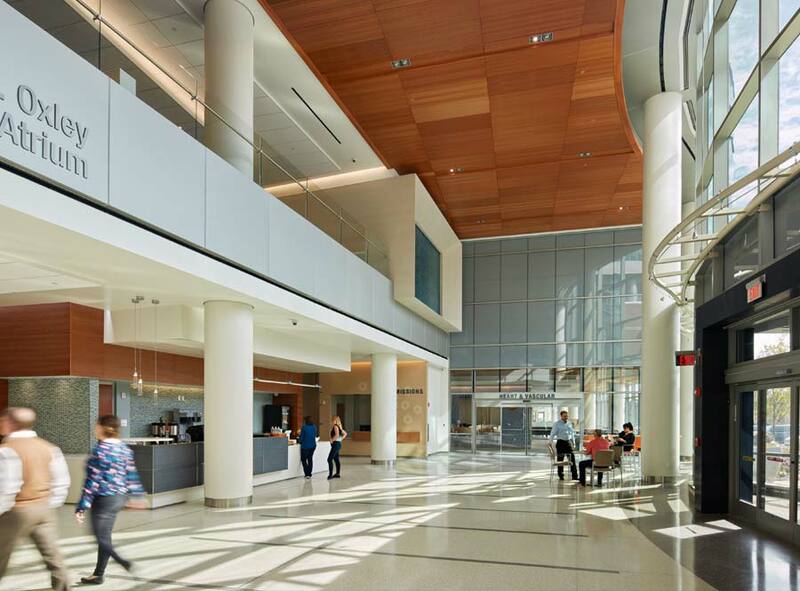 The use of expansive windows, rich cherry veneered walls and ceiling, terrazzo flooring, and glass accents contribute to an interior architectural expression that reinforces the high-technology science and procedures performed within the facility.